Nós gostaríamos de receber seus comentários! por favor, compartilhe-os na nossa página do Facebook, ou você pode deixar sua opinião aqui. It was a wonderful apartment. Clean, well-stocked, well-located, friendly staff, delicious food, and very stylish! The beds are really comfy, and the windows were new enough to be pretty effective at keeping out the noise. I loved the details of the old building and felt very at home in the neighborhood. What a wonderful home abroad! What a beautiful place! 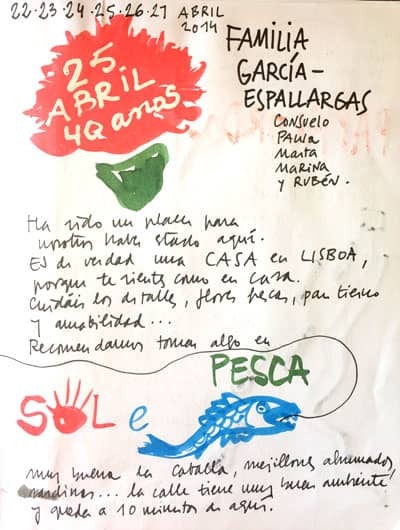 Baixa House is somewhat hidden – if you didn’t know to look for the green door on a busy Lisbon street, you’d miss it. We stayed in one of the two bedroom apartments for one night, and a three bedroom apartment for three nights. Both rooms are gorgeous (the master bathroom is a little small in the larger apartment). The Baixa House staff was kind, helpful and entirely great to work with. Thank you! Loved staying in our apartment, so quiet and such a great location. Breakfast and a freshly baked cake being delivered every day was an added bonus. Having someone in the office to help with any queries and questions was incredibly useful. We will definitely be back. Une excellente adresse que nous allons partager. Everything was perfect. Breakfast: The homemade cakes and jam are delicious, we liked it a lot. Thank you all so much at Baixa House. Great location, staff and apartment for our stay in Lisbon. Nicely renovated building and apartment – only things we’d point out is that the apartment could use some minor refresh (painting, wall outlets) and the bedroom view to what appears to be an abandoned building with pigeons may not appeal to all visitors. It didn’t bother us. We very much appreciated the light open spaces the apartment offered. can be noisy when you have neighbors above !! Very nice location in Lisbon, great flat, Anabela and her colleagues are very welcoming, feels like home away from home! It would be a good idea, if someone stands eight days, the change of towels and the bed’s laundry would be changed in the middle time of the staying and not at the 7th day of staying. But all in all it was very nice for us to stay in this amazing apartment in Lisboa. We really enjoyed it! En Baixa House te sientes como en casa , apartamentos espaciosos , con luz y silenciosos envuelven una decoracion exquisita y calida . Repetiremos !! Me and my son had a perfect stay in the Baixa house. We enjoyed everything from friendly hosts to all the details in the appartment, the fantastic cleaning, all flowers, breakfast and sunsets seen from the window and on and on and on. If in Lisboa go the Baixahouse. Its also perfectly situated. 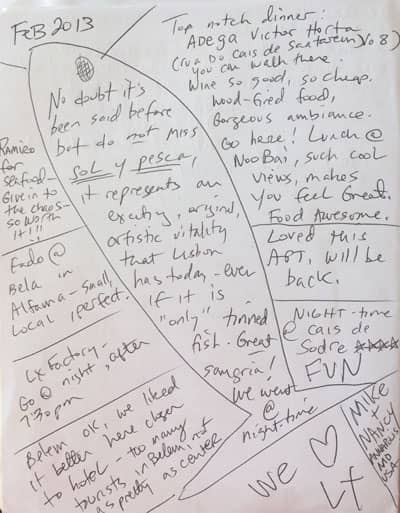 We will recommend the Baixa house anytime! The Stay was perfect. The apartment was functional and the interior was thoughtful, minimalistic and beautiful. The Service was perfect. We could choose everyday, what we wanted to have for breakfast the next day, so that nothing had to go to waste. 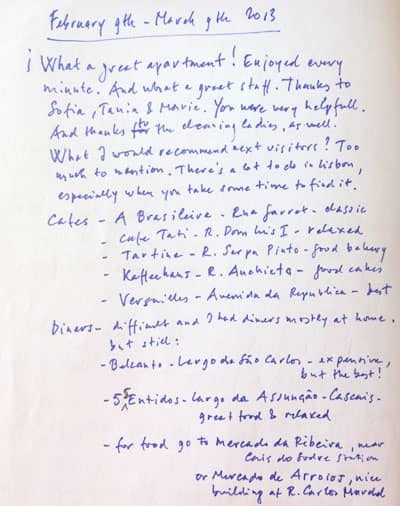 We will recommend the Baixa house anytime! Excelente opção de estadia, ótima localização, ótimo atendimento / cuidado pela Maria & Anabela. Apt 3C muito claro e arejado na sala e cozinha. Sugerimos oferecer “sandálias havaianas” – https://www.havaianas.com.br – para hóspedes de andares superiores, pois os “marchadores” incomodam! Acrescentem o custo na diária – vale a pena. 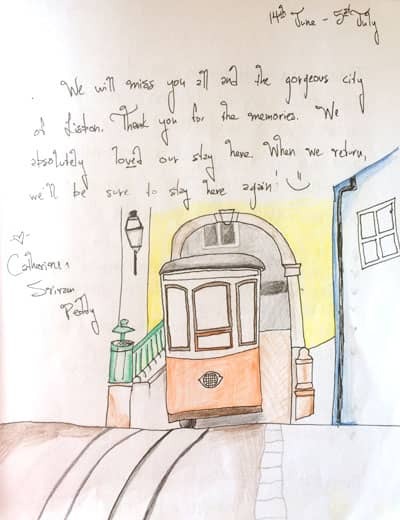 My one year daughter and I arrived to Lisbon after a particularly long travel from Asia, just to learn that our luggage got lost en route in Dubai and that we would need to wait until late evening for luggage to be delivered to Baixa House. This mean no nappies and no formula milk for the baby…and just the prospect of going out again to look for a supermarket felt daunting. That’s when Anabela of Baixa House (or should I say Baixa Home:) stepped in and offered to go out to buy nappies for Sara baby, as well as some pizza from nearby shop, as I was under the weather and extremely tired from the travel. 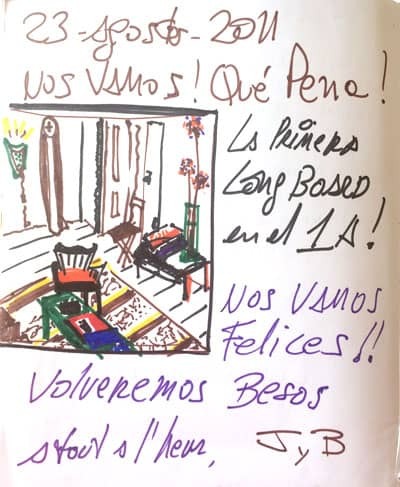 I could not have appreciated more this kind gesture by Anabela, and thanks Baixa House for the extraordinary hospitality to make us feel at home from the moment we walked in to the building. Other than this, the apartment is full of character and you really feel you are in Lisbon. Beds were comfortable, bedlinen was luxurious and the fresh bread every morning was the best. Especially great to being able to have breakfast in room as and when convenient in the morning. Thanks all for having made our stay memorable, and we hope to be back soonest. This was the best experience I have ever had away from my own bed! Beautiful and comfortable and oh so special in every way Baixa House has made our stay in Lisbon❤️Absolutely perfect spot to be! Perfect in everyway! Exactly what we were looking for, the decor, the location, the feeling of a home. And all the team is so helpful and kind! two thumbs up! 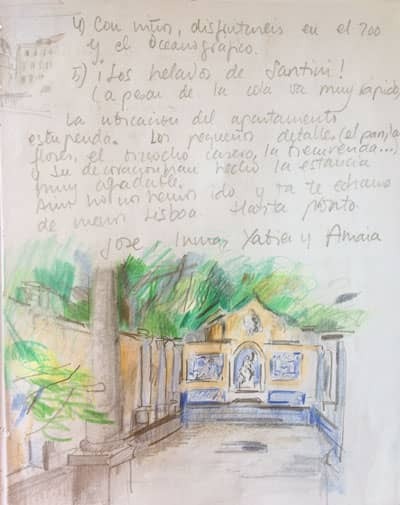 Preciosa casa, muy bien restaurada en Baixa, bien comunicada y gran amabilidad del personal, hemos pasado unos días estupendos a pesar de la lluvía. Un excellent accueil, un appartement très joli, nous avons passé un super séjour, merci beaucoup pour votre générosité! Wonderful place- Such attention to detail. We loved the fresh flowers, high ceilings, great homemade breakfast treats- couldn’t have been happier. Apartment was beautiful. Everything was very lovely and accommodating. 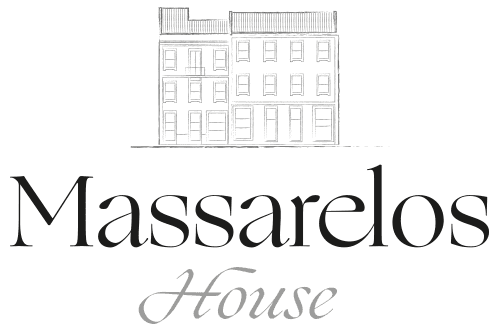 Impressive building, spacious apartment, beautifully furnished with great attention to tasteful details, warm and professional reception, helpful advice, superbe breakfast – will definitely recommend to friends and looking forward to coming back! A beautiful apartment in a peaceful location. Delicious fresh bread and fruit for breakfast each morning. The perfect base for a visit to this wonderful city. Perfect place to stay, really central and easy to get around. Perfect place to stay, really central and easy to get around. Apartment was beautifully decorated and lovely to have our own space. Nous avons passé un très beau séjour chez vous dans un décor magnifique et recherché. La localisation était idéale près de tous les intétêts touristiques et des moyens de transport. Nous avons apprécié la qualité des petits déjeuners mais aussi de la vaisselle. Tout dans cet appartement reflète le bon goût et le raffinement. Malheureusement nous avons souffert de la chaleur et aurions apprécié un climatiseur . Bien que bien situé, le cartier est bruyant et nous ne pouvions ouvrir les fenêtres pour rafraîchir l’appartement. This place is great. Super location, close to everything. Very pleasant decoration, comfortable beds, well-equipped, delicious breakfast, and very friendly and helpful staff. So nice!! This experience was perfect! We felt like family. Beyond outstanding! I encourage anyone who is making a visit to Lisbon to stay at Baixa House. Why pick a hotel when you can have the authentic charm of your own apartment, A+ service, fresh baked breads, cheese & ham for breakfast. Not to mention fresh juice and coffee everyday. My 3 girlfriends and I had a wonderful stay at Baixa House. The staff was extremely accommodating and helpful. The location couldn’t have been better, and the place was quiet considering we were surrounded by busy streets. It was very hot when we stayed here and sleeping was difficult. Arrivée du pain un peu tardive quand on travaille! Beautiful apartment in the heart of the city. Maria and her colleagues were very efficient and helpful. Everything was organised perfectly. Would definitely stay here again. We loved the apartment and the location of the house. It was very welcoming and everyone was very helpful and friendly. I would definitely stay at Baixa House again! Unas vacaciones para recordar… y respirar Lisboa el resto del año!!!!! Our stay was simply amazing, and very comfortable for our 2 year old son. The staff was super helpful, the location can’t be beat, and the breakfasts are very comforting. We found the washing machine to be a bit rough on our clothes and difficult to operate, but that is really insignificant. We will definitely visit again! I’m happy to report the reality exceeded all expectations! I had such high expectations of Baixa House after following their beautiful Instagram account for so long, and I’m happy to report the reality exceeded all expectations! The building is beautiful, and our apartment (Jeronimos) was fantastic. Every detail has been thought through and we really felt at home straight away. The staff are great – really helpful and considerate, and the food delivered each day for breakfast the following morning was wonderful. The fact that I am gluten intolerant and my partner is vegetarian was no issue for the staff and they were able to accommodate this easily. The location of Baixa House is also ideal – with easy access to the airport and all the delights Lisbon has to offer. Thank you Baixa House for making our trip truly memorable – we will be back! We have stayed at Baixa House a few times as well as several of our friends whom we have referred. Each time has been a fantastic stay and we continue to look forward to the next visit. The location, convenience, cleanliness, and warm welcomes are really like coming home. Central to everything that one would require as part of a visit to Lisbon, in a friendly environment and on a nice street. 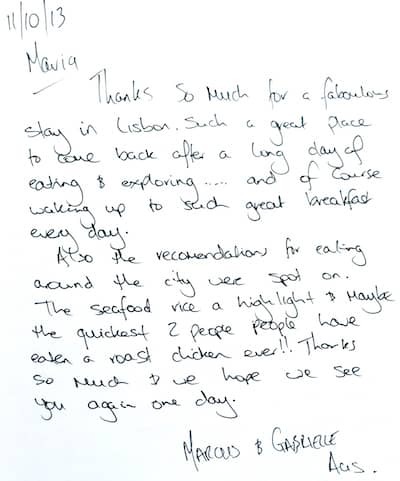 Just fantastic and our sincere congratulations to everyone involved in making Baixa House so great. Thank you thank you thank you! Absolutely stunning apartment, delicious breakfast and attentive service. Perfect location in the heart of Lisbon. We can’t wait to stay again! living like locals in style! We had a lovely experience in this charming apartment in the heart of Lisbon. The team of staff took very good care of us and made us feel extremely welcome. The decor is gorgeous and it truly felt like our own home in the city – living like locals in style! Very comfortable and would highly recommend. Nossa estadia foi maravilhosa! O apartamento é muito confortável e decorado com extremo bom gosto. Agradecemos a Anabela e a Maria pelo gentil atendimento e esperamos voltar em breve pois já estamos com saudade de Lisboa e da vida portuguesa que tanto nos alegra. Um abraço a todos!! Highly recommended. Bedroom is at the back of the apartment (2C) so was quiet and dark. Front room is bright and has street noise when the windows were open. Good breakfasts and excellent customer service. Location; at the heart of Lisbon. Nuestra estancia en Baixa House fue fabulosa pues la luminosidad, amplitud y decoración superaron nuestras expectativas. La atención de todo el equipo inmejorable, los desayunos maravillosos y la localización del edificio perfecta para moverse a pie por el centro de la ciudad y con todos los medios de comunicación a mano para desplazarse a cualquier sitio. Recomendamos absolutamente el lugar que no defrauda en nada. On our first three nights in Lisbon we stayed in Alfama. We moved to Baixa House for the second part of the trip and found the location to be perfect for exploring the central part of the city. The Eduardo VII suite was clean and very comfortable for three people. We loved our interactions with Mirela and Anabela, who were very helpful in getting us settled in and acclimated to the neighborhood. Anabela called us a taxi on our last day and waited with us until it arrived. Great service, and reassuring to know that someone is in the office to help with logistics and other things. The daily breakfast was good, and more than adequate. In fact the whole concept of the serviced apartment is a great idea. We would stay there again anytime and highly recommend it for a visit to Lisbon. This is a delightful place to stay in Lisbon. We had a family long weekend and it couldn’t have been better. Lovely, slightly quirky rooms, clean, comfortable, v good service and very central. Would thoroughly recommend. Would definitely return. I thoroughly recommend a stay at Baixa House. Lovely apartment. Very comfortable beds. Nice to have breakfast delivered. Great location. I thoroughly recommend a stay at Baixa House. Es mas que recomendable! lugar perfecto donde pasar unos días en Lisboa ! Séjour inoubliable à Lisbonne. L’appartement que nous avions était parfait, délicieusement décoré (jolis objets chinés), spacieux, calme, convivial, literie et ménage au top… l’accueil est très pro et convivial et les petits déjeuners sont un ravissement (surtout les gateaux) ! Bref, nous recommanderons et surtout nous reviendrons !! Gorgeous apartment, fabulous breakfast and the staff was very very helpful. We loved everything about Baixa House! Thank you so much for this amazing Memory! 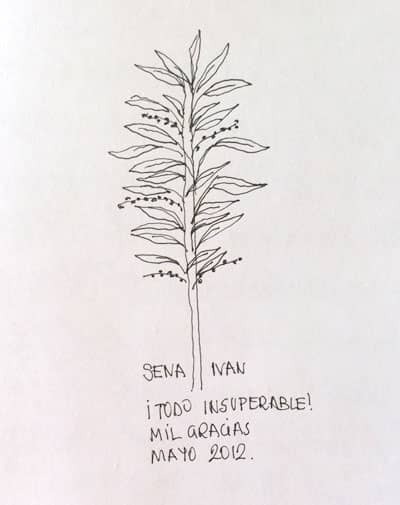 En Baixa uno se siente como en casa (bueno mejor, jejejeje). En Baixa uno se siente como en casa (bueno mejor, jejejeje). Los apartamentos son super amplios y silenciosos (Jeronimos). El ambiente inmejorable y el personal impecable; con absoluta discreccion todo todo siempre esta en su sitio, y la privacidad del huesped es total. We loved our stay at Baixa House! We loved our stay at Baixa House! The apartment, 3A, was beautiful, the breakfast delicious, and the neighborhood is very centrally located. We hope to come back soon! We loved every minute of our stay, the breakfast, the flowers, cleanliness and helpful staff. A high standard is maintained in all aspects of this business and we have recommended Baixa House to friends who are now booked in for September! Our accommodation enhanced our stay in Lisbon! Great location, friendly and helpful reception. Excellent accomodation. Un tres bel appartement. Tres bien situé et avec de charmantes hôtesses toujours pretes à rendre service. Je l’ai déjà recommandé à mes amies de desireuses de visiter Lisbonne. We had a lovely stay. Apartment was perfect for us, and in such a great location. Thanks for providing everything for little Benjamin too. We will be recommending to all our friends and family. Un poco caro pero muy práctico por estar en la Baixa, a la mano de todo. La atención estupenda y el servicio (desayuno, limpieza, etc.) impecables. 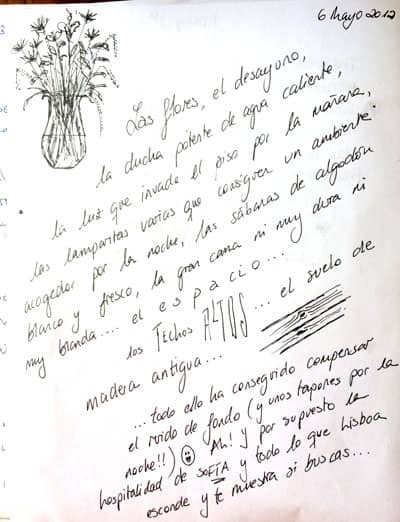 Las chicas que lo llevan, María y Joana, encantadoras. Lo recomiendo con la salvedad del precio. Très bel appartement idéalement placé qui nous manque déjà.Nous reviendrons!!! Beautifully designed, very nice welcome. Thank you very much for a great stay in Lisbon! And if you’d offer highchairs for children, that would be perfect. I think other families would appreciate that very much. We loved the apartment and every moment of our stay. thank you so much much. i’ll be sure to recommend Baixa House. in fact I have a blog post going up about it tomorrow. Thank you! We had such a great time. The apartment was cool and spacious and a real haven after our busy days exploring Lisbon. We’ll be back. A beautiful place and a perfect location. Highly recommended. We’ll stay again for sure! My family and I have stayed in many places through out Europe and this was one of the best. 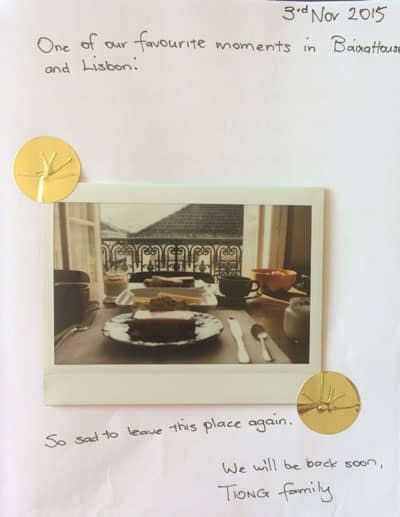 From their reception of us, explaining all the details of the apartment, providing resources for sights and experiences to take in while we stayed in Lisbon, to the breakfasts left each day and the cake each evening, the staff were fantastic. I really cannot fault them on anything. It was a lovely experience from beginning to end! Very stylish apartment perfectly clean. Loved delicious breakfasts. I was in early stages of pregnancy and not well. We were allowed to stay for a few extra hours on our last day. This was very much appreciated. Our apartment was beautiful, stylish and very clean. I enjoyed the breakfast very much, specially the delicious cakes. We really enjoyed our stay and hope to come back soon. Baixa house really feels like home! We want to come back every year! One of the better and nicer places I’ve stayed in Lisbon and with the added convenience of a great location downtown, easy access to transport, supermarkets and restaurants it’s the ideal place for a get-away. As I am gluten-intolerant, Baixa House specially made gluten-free bread for us everyday during our stay. Reception and checking in was easy and trouble-free. 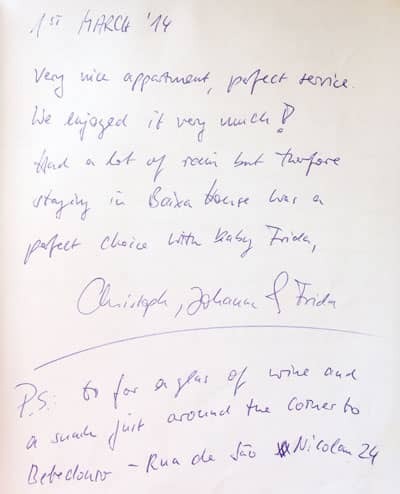 Baixa House kept in contact with us throughout the booking and detailed the check-in process which made it very easy. Baixa House is a lovely place to stay. The apartment is really nice with a lot of confort and furnished beautifully. We enjoyed our stay very much and it invites you to linger around a bit as it feels like a proper apartment and not a hotel. The location is perfect to explore the city. a lot of sites are in walking distante. 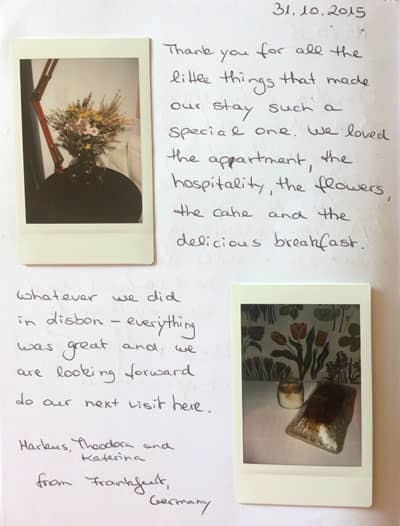 We absolutely love our stay at Baixa House. The apartment was lovely and spacious, very comfy bed and we loved the decor. We were made to feel extremely welcome and will definitely be recommendig it to our friends. Thanks again and hopefully will be back. I had a lovelys long stay at Baixa House, it felt like home. I so appreciated the little touches of fresh flowers, freshly baked cakes and bread, a stocked fridge with yummy yogurt and cheeses, juice and milk. The kitchen is nicely equipped for making meals at home, which we did several times. The modern interiors are informed by nature, and I enjoyed the creative mixe of natural materials, antique and modernist furniture and stylish lighting. The location is perfect for exploring Lisbon; close to hopping, metro and trains. The staff is warm, friendly and a bonus for me, they speak fluent english. I would definitely return ! Obrigada. We stayed at Baixa House recently during our anual visit to Lisbon. While we have stayed in several places that we have liked a lot, Baixa House stands out as absolutely exceptional. Not only the building but apartments are gorgeous, clean, well maintained and stocked. Kitchen was totally usable us our own, beds comfortable. Staff are amazing and immediately make you feel comfortable and welcome. The location in Baixa área is literally close to everything. We highly recommend this gem and look forward to staying here many more times in the future. Congratulations to Baixa House and all staff for doing such a great job. 5 stars plus ! 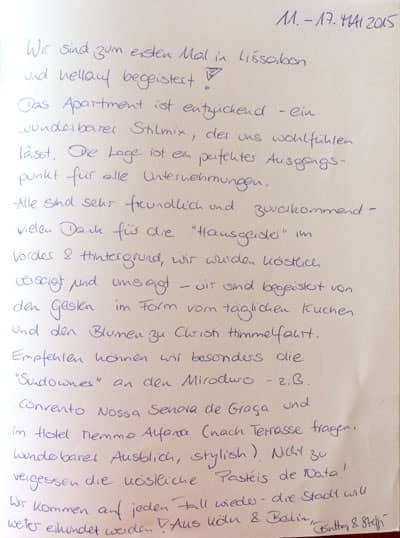 Dear lovely Baixa House, we really loved staying with you in the most charming Campo Grande apartment. Thank your very much for making our stay so comfortable. The only thing that was difficult, that we could hear every word and step of the people staying above and next to us., but of course that is somehow normal for and old building. 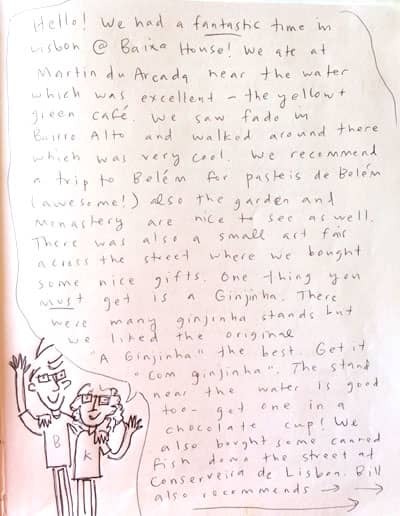 We had a wonderful stay at Baixa House and would certainly recommend it to a friend. Perfect location, beautiful apartment,friendly, helpful personnel. A wonderfully pleasant experience. Thank you ! Glamorous old building, nicely renovated. We liked our apartment under the roof very much. The staff is friendly and really helpful. The location in the middle of Baixa is noisy, but some apartments have sleeping rooms to the more quiet courtyard. We would come at any time.